The Baker Hughes rig count report shows U.S. oil rig count decreased by 5 rigs to 858. 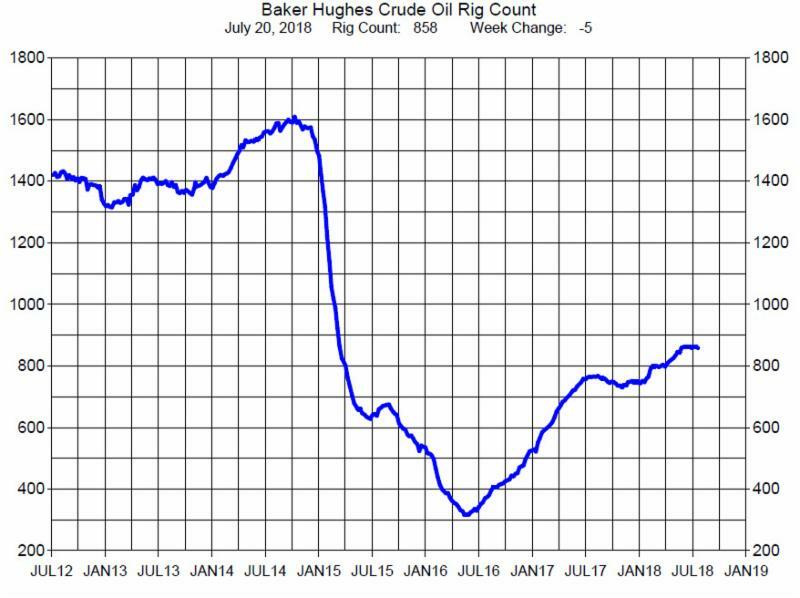 The rig count seems to have stalled. Since the end of May the rig count has been close to 860. The end of May was the same time when Crude Oil prices had the first major drop and rebound. So it appears that the producers are still waiting for a confirmed direction of prices.